Help & DocumentationCreating ContentCreating Basic Metrics and Reports Choosing between Metrics, Multi-Metrics, and ReportsWhat capabilities are supported by different types of Elements? What capabilities are supported by different types of Elements? 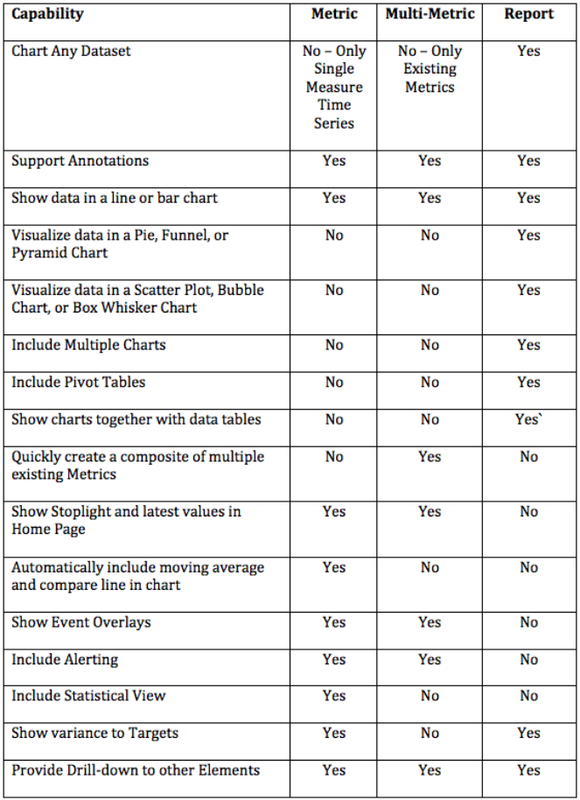 The following table provides an overview of the capabilities supported by Metrics, Multi-Metrics, and Reports. Next: Should I use a Metric, Multi-Metric, or Report to visualize my data?